So you have a credit card that doesn’t charge conversion fees and you’ve added it to your Paypal account. That’s it right? You’re no longer being charged conversion fees when using PayPal! Not quite. 1. Click “Profile” cog in the top right. 4. Click “Set Available Funding Sources“. 5. 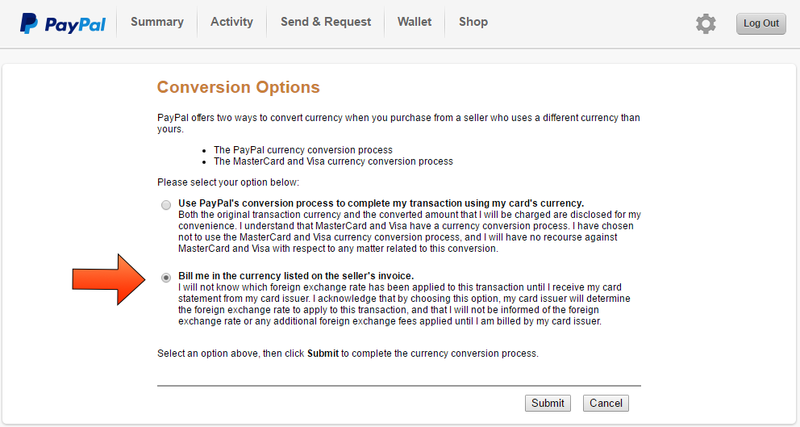 Click “Conversion Options” beside the credit card with no currency conversion fee. 6. Select “Bill me in the currency listed on the seller’s invoice.” and click “Submit“. That’s it! No more currency conversion fees! Please leave a comment below if these steps are out of date. So you heard about these E3 pre-order promotions and want to get in on it. But which retailer do you go with? It’s easy to choose one over the other if they have different titles available, pre-order bonuses or one is offering a deeper discount. But what if all things were equal? Why would people choose one retailer over the other? Both offer Low Price Guarantees but only BestBuy offers a 30 day window beyond the release date. On of the biggest differentiators between the two stores. If you want your game on or closest to release date, go with BestBuy.ca. Change your mind about the fourth or fifth game in your giant E3 order? Cancelling individual items is easy as pie with Amazon.ca and if you maintain the minimum amount of games (usually 3), it will retain the promotion. BestBuy requires you to contact their phone support. They usually can do it but remind them that you have a promotion on the order just in case. Updating your billing info just works with Amazon.ca’s system. BestBuy’s website has that capability but it is error prone with certain orders requiring the help of BestBuy’s customer service representatives. Bad reviews making you regret your purchase? Both retailers have you covered but BestBuy is the only one with an in-store presence. Amazon.ca’s chat options is probably the best in the business and they’re equally as capable regardless of preference. If you want immediate action, it’s often better to contact BestBuy via their phone support. Historically, Amazon.ca has been prone to pricing errors including the doubling of discounts. One of the best examples of a price error was the inexplicable price adjustment of Xenoblade Chronicles X down to $19.99 ($55 off). And the best part? Everyone who pre-ordered the title had their orders automatically adjusted to the new price plus the 30% off E3 promotion. BestBuy has its share of price gaffes but they’re usually involves the mislabeling of special editions with standard edition prices — not terribly exciting. BestBuy does have a leg up on pre-order bonuses and their Reward Zone program though. 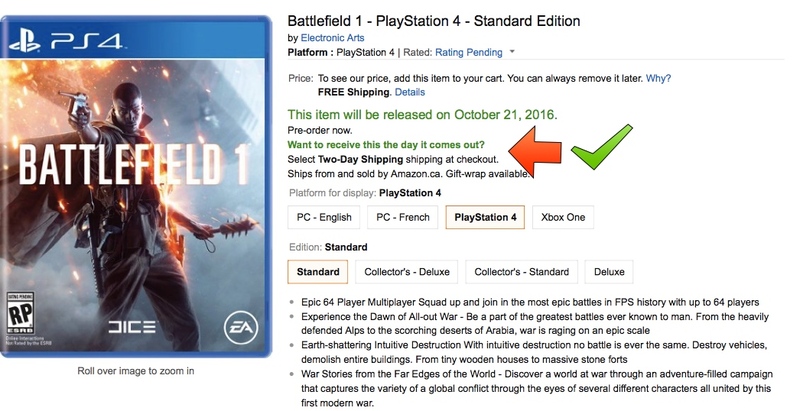 Hopefully this little comparison helps you with your pre-ordering decision. Got more points of comparisons? Did I get something wrong? Leave a comment below.